CNBC: Barnes & Noble says political book sales have skyrocketed and it released a map that shows how polarized the sales are - "... [W]ith a few exceptions, states that voted for Trump in the 2016 presidential election tended to also favor the books that cast him in a friendlier light, and vice versa." BBC: Ban on putting Shetland in a box on maps comes into force - "The final rule written into the bill requires the islands to be 'displayed in a manner that accurately and proportionately represents their geographical location in relation to the rest of Scotland' in any documents published by Scottish public authorities." CNBC: Mattress Firm is about to close more than 200 stores — here's a map of where they are - "The Mattress Firm closures will add to the glut of storefronts that now sit vacant across the U.S. Casper, meanwhile, says it wants to open 200 locations within the next three years." Business Insider: 'Soda,' 'pop,' or 'coke': More than 400,000 Americans weighed in, and a map of their answers is exactly what you'd expect" - "That's exactly the question cartographer Alan McConchie sought to answer with his web project, the aptly named Pop Vs. Soda." This map pops up pretty regularly. TechCrunch: Facebook tests Snap Map-style redesign of Nearby Friends - This is not the first time Facebook has looked at mapping. Will it take? WWLTV: New map tracks New Orleans opioid deaths biggest hot spots "The New Orleans Health Department says the red areas represent eight to 74 overdoses, where EMS went to the scene. It doesn't even include those driven to the ER in a private car." Popular Mechanics: Tribal Map of America Shows Whose Land You're Actually Living On - The article features Native-Land, a mapping site run by Canadian developer Victor G Temprano. There's a teacher's guide, too. World Intellectual Property Review: Facebook, Instagram and Snap sued over GPS patents - Apple has paid off the patent owner (troll?) Corrino Holdings in the past. Slate: President Points at Map - The president received a briefing from DHS and FEMA directors and pointed to a map. 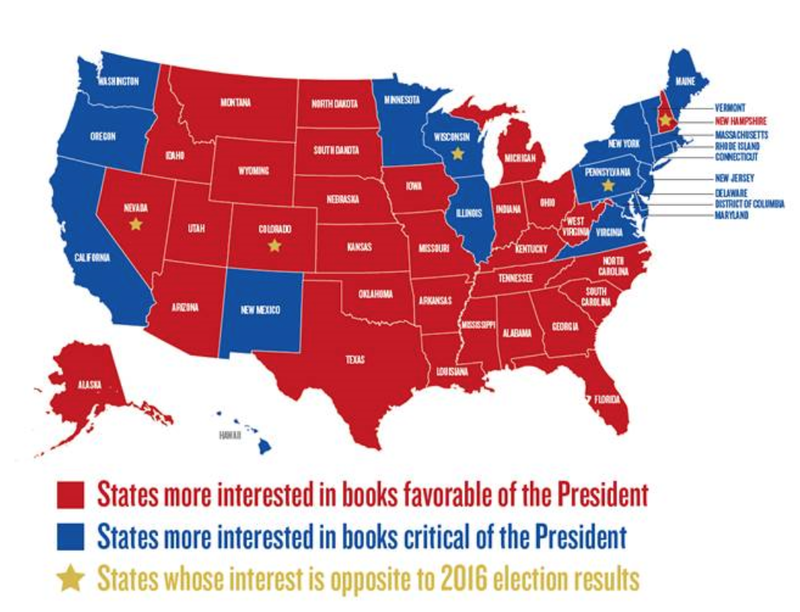 "I like when he points at the map, as if to say, 'This is a map.'" Esri-UK: The company offers a new starter resource for ArcGIS Online: Developing knowledge, skills and confidence with ArcGIS Online. It's a PowerPoint with short how-to videos that may be valuable for educators. Web Literacy for Student Fact-Checkers - This book by Mike Caulfield is not just for students; it's a great open educational resource for all! Reddit: Why have open-source GIS technologies lagged behind in academia? - Interesting conversation. GeoLounge: What is the Environmental Insights Explorer (EIE) Tool? - Google has launched a new tool, Environmental Insights Explorer (EIE), with the main purpose of making new climate-relevant datasets easier for cities to access. Via Caitlin Dempsey. ArcGIS Blog: Making Story Maps Citable (e.g., with Digital Object Identifiers) - Dawn Wright offers some options. Alteryx: Alteryx Takes on the Data Science and Analytics Talent Gap - The company, which is also known for its location analytics software announced "ongoing collaborations with the Kubrick Group, Udacity and Alteryx for Good university participants" to train in-demand workers. AEI: Why spatial reasoning matters for education policy - The PDF of the report is here. Via @dianamaps. University of Minnesota: The Borchert Map Library received a certificate of recognition from the State for its Minnesota Historical Aerial Photographs Online. WIU: Three WIU Students Win State GIS Awards - Three of six state winners were from WIU. Penn State: Geography student models future fires to restore past forests - Anthony Zhao, a master’s degree student in geography, is using computer model simulations to try to get a clearer answer to the question: "Can we use fire to turn back time, bring forests closer to their original state, and maintain these ecosystems over the long term?" University of Arkansas: SPARC Program in Spatial Archaeometry Expands Support for Research in Archaeology - Three universities involved for the past five years received nearly $200,000 to continue to support "archaeological research projects working with a variety of technologies, including 3-D survey and modeling, geospatial analysis and visualization, and geophysical and airborne remote-sensing." Kurt Menke reports he's using Kahoot, a quiz platform, for his Intro to FOSS4G course. He notes "The winner of each round gets a cool sticker for their laptop!" 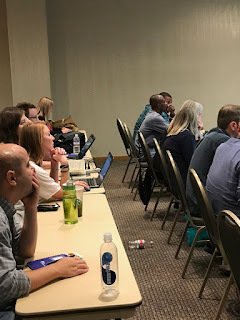 Conceptualizing a Geospatial Software Institute (GSI): Workshop 3: Strategic Plan and Governance of GSI - This event relates to relates to an NSF grant to develop an institute aimed at supporting research and education. Esri's 2018-19 ArcGIS Online Competition for HS+MS Students is in search of state leadership teams. They make key decisions, get info to schools and clubs, receive money and distribute awards, and arrange judging. Typical teams are 2-4 core people, with help from others in spreading the word, mentoring, and judging. State leadership team proposals are due by Wed Nov 7, 2018, via a form found on the "full info" page below. 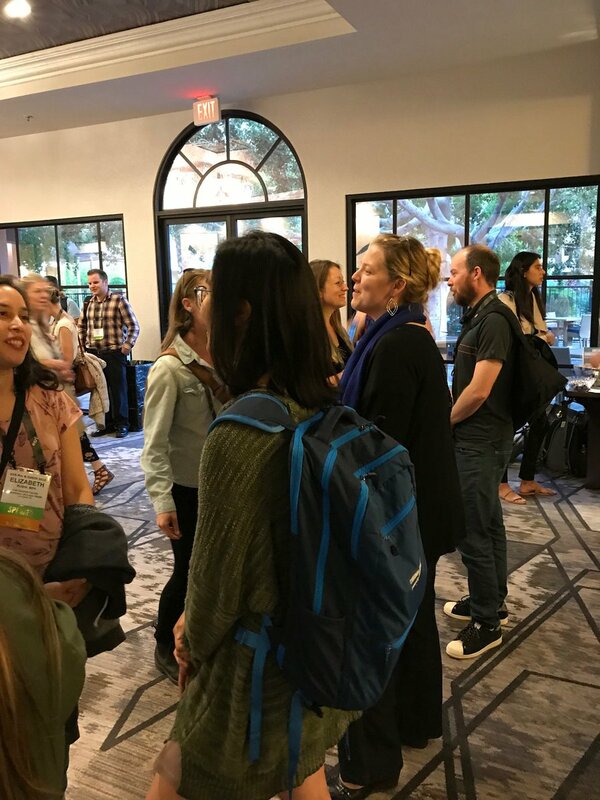 Esri provides grants of $1000 to participating states to distribute to awardees, and the top prize for HS and MS winners is a trip to the 2019 Esri Education GIS Summit at Esri User Conference in San Diego. 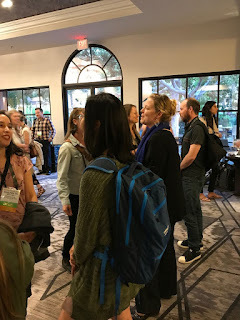 I share these images from @urisa to get readers thinking about what learning might look like at our industry conferences.